Synergy Soup Advertising was founded in 1994 by five companies seeking to offer a more complete in-house advertising solutions team to their clients. These companies included a video production & animation company, an audio production company, a graphics design firm and a photographer. In January of 1994 two new team members were added to also include web development in their war chest of in-house advertising services. They quickly established themselves as a web development powerhouse by winning several Yahoo Top Five Picks of the Day for their Michigan Department of Agriculture and Secretary of State web sites. Their reputation as the premier web development team grew as they developed sites for major Mid-Michigan corporations like Michigan Farm Bureau, Michigan State University, Michigan Eye Care Specialists and Community First Bank. In the fall of 1998, Synergy Soup took over the re-development of the Lansing Lugnuts web site, which had been a complete failure for two years. Under Synergy Soup's direction the site went from a mere $2000 of income and almost no online ticket sales to being featured in Sports Illustrated as an example of great web development. The SI article called the Lugnuts new site "A Major Presence" as it now boasted over 40% of all game day ticket sales and 99% of all mail order merchandise sales. In 2000, Frank Cugini, one of the original partners and the head of the web development division, took over as the sole owner. 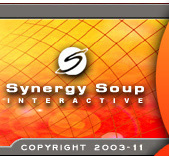 After the reformation of Synergy Soup, Inc., the remaining team redefined Synergy Soup from a full services advertising agency to focus on web development, 3D animation and CD-Rom development. 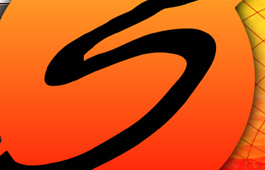 Since 2000, Synergy Soup Interactive has received many awards and recognitions for their work, including The New York Times awarding their Talkinsites.com the distinction of being one of 2002's Top 25 Ad Innovations. As Synergy Soup celebrates it's 10 Year Anniversary, they continue to develop award winning web solutions for Mid-Michigan's biggest clients, including The Lansing Regional Chamber of Commerce, Lansing Ophthalmology, Ingham Regional Medical Center, Michigan Automobile Dealers Association, and The Michigan Pharmacists Association. Synergy Soup Interactive has also expanded their reach nationwide through the development of solutions for The Montgomery (AL) Biscuits baseball team, Professional Sports Marketing, The Charleston (WV) Alley Cats, The Macon (GA) Peaches, Independent Baseball Leagues Winter Meetings and Real Tour Vision.